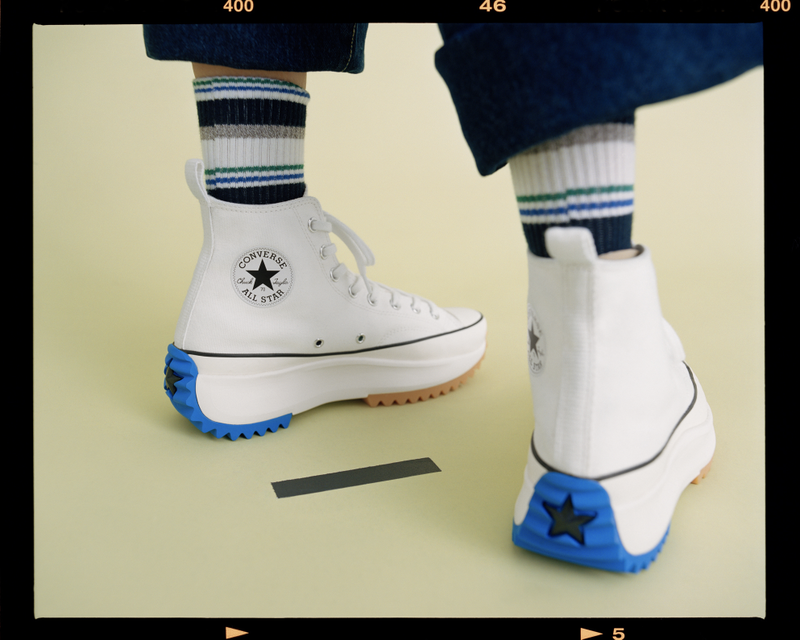 JW Anderson x Converse’s latest collaboration is almost here! 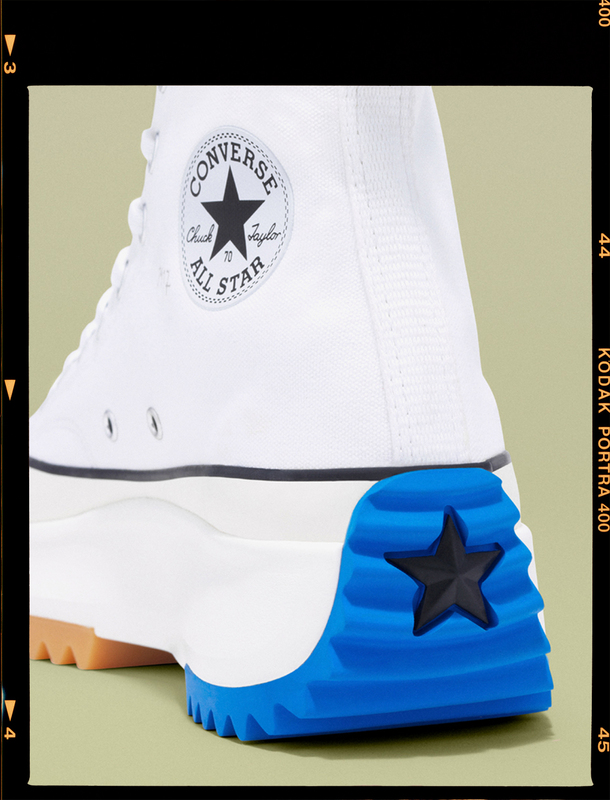 Following up from the all-over branded collection, this season’s release utilises the high-top Chuck Taylor once again, choosing to reinvent the midsole for a bold twist. Influenced by the British label’s androgynous take on casual wear, the Run Star Hike “White” features a supersized sole unit with statement gum treading making an impact in blue and tan hues. 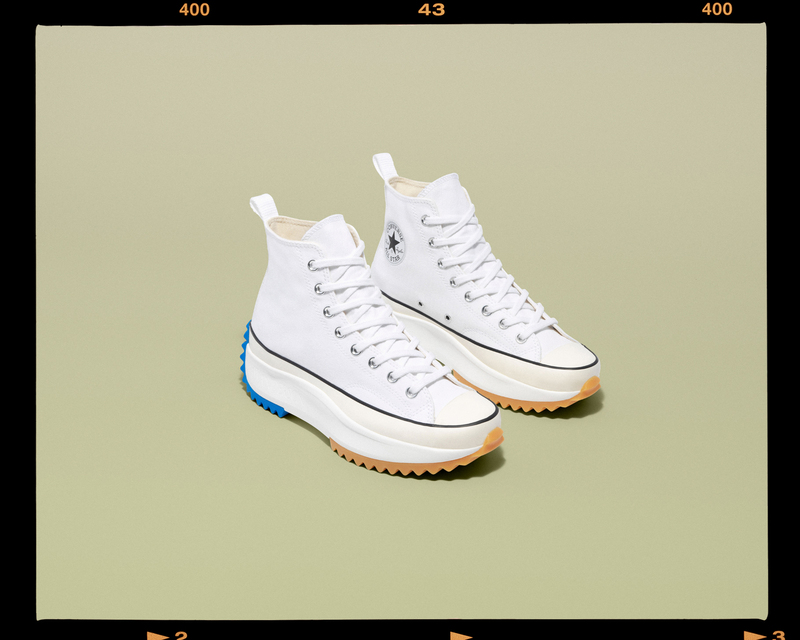 The sneaker stays true to a range of Converse’s original features, with its white canvas upper, rubber toe cap, and All Star branding, but the reimagined element under foot truly sets it apart from the rest. 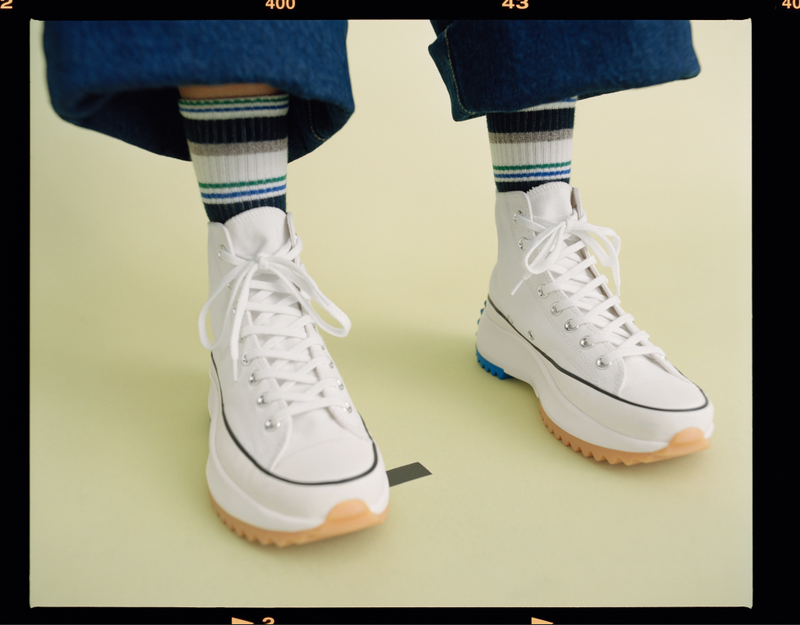 If you’re hoping to complete your wardrobe with this limited edition silhouette, HBX’s recent editorial is packed with styling inspiration, opting to pair the shoe with retro wide-leg jeans, colourful striped socks, and a simple white vest for a spring-ready look. The JW Anderson x Converse Run Star Hike “White” will be available to buy from retailers including END. from February 12th and HBX from February 17th. Be sure to stay tuned for more updates and check out Converse’s printed pony hair adorned pack while you wait. Get 30% Off The Nike Air Max Plus Heart Pack In Foot Lockers Sale! SAVE On This Pastel Green Nike Air VaporMax Plus Colourway In Offspring’s Exclusive Sale!